The end of the film noir classic Chinatown has one of the most famous closing lines in cinema. After Jack Nicholson’s character finally unveils Faye Dunaway’s secret and solves the case, things go south (no spoilers, I promise). As everything seems lost, and Nicholson looks for some way to solve the problem, Joe Mantell tells him to “forget it, Jake. It’s Chinatown.” The line evokes futility — just go and move on with your life, because there’s no point in changing this. I hope Logan Morrison has seen Chinatown. Because like Jack Nicholson, he needs to move on and forget the Home Run Derby. Morrison knows a thing or two about dingers — he’s hit 24 on the season already, good for third in Major League Baseball. 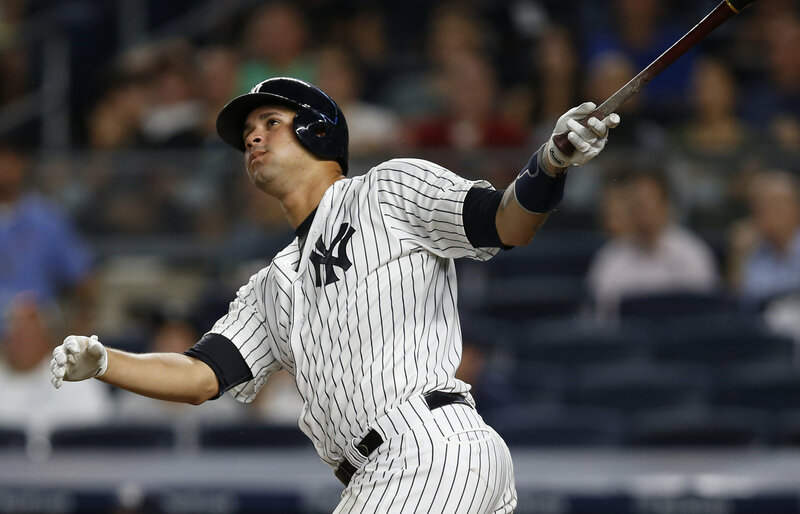 Meanwhile Gary Sanchez — who hit 20 homers in 53 games last season — struggled with a biceps strain early in the season and only has 13 home runs to date. Morrison is, in essence, arguing that he should be the Homecoming King because he has a higher GPA this school year. Sure, he has more home runs in 2017; but that’s not what the Home Run Derby is about. Keith Olbermann (formerly of ESPN) once famously ranted that the Home Run Derby was little more than glorified “batting practice.” He overstates his point — in typically Olbermannian fashion — but he’s not wrong. The Derby is a one-night event where grown men mash baseballs as far as they can while fans “ooh” and “aah.” It’s less competitive than your local softball league. The players are incredibly talented, and no doubt their pop-ups travel farther than I will ever hit a baseball, but the competition is more good-natured than cutthroat. If you gave every MLB player the choice between a World Series ring and a Home Run Derby crown, you’d be giving out a whole lot of rings. Most of all, the Derby is a showcase. It’s the middle of July, and the TV-loving people of America have to choose between reruns of the Bachelorette and the Home Run Derby. MLB wants to put its best, most popular foot forward and load the Derby with recognizable faces. Aaron Judge? The guy has become an urban legend in only three months. Giancarlo Stanton? Some of the home runs he hit last year are still going. Cody Bellinger? He’s a near lock for NL Rookie of the Year, and he plays in one of the biggest baseball markets in Los Angeles. The Home Run Derby — and the All-Star Game in general — is baseball’s red carpet. We want to see the Hollywood stars in their glitz and glam, not the writers and producers we’ve never heard of before. Logan Morrison is no Hollywood star. He’s a good baseball player who has put together a great year. But how many casual baseball fans know the name “Logan Morrison?” How many would recognize him if they ran into him at Walmart? How many casual baseball fans have even watched a Rays game in the past year? Morrison knows the hill he has to climb. “It’s par for the course,” he said. “I play for the Rays. I get it. They can’t even get my picture right. When they put my name up there they put Corey [Dickerson’s] picture up there on MLB Network.” Morrison’s problem, he says, is with the “flawed system” of the Derby, and not with Sanchez himself. What Morrison doesn’t seem to get in his denial is that the Derby system isn’t “flawed;” it’s working exactly as it’s supposed to. The Derby is a chance to see the most popular players in baseball try to swing for the fences and defy the laws of baseball physics. They don’t need to be the best sluggers in baseball; they just need to be the most popular. The Derby is not about who wins or loses, but about how much positive attention MLB can get. Is that fair? For guys like Logan Morrison, who aren’t renowned outside of die-hard baseball circles and play in the fanbase-dead zone known as Tropicana Field, it’s not. But what can you do? Forget it, Logan. It’s the Home Run Derby.